Like the topic says, my birding activity has been very slow recently. In last two weeks I have been out with Vilma and my binoculars only once or twice. 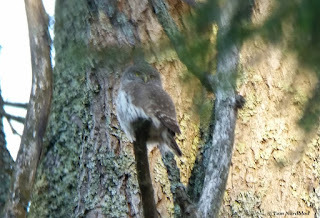 5th of November I found Pygmy Owl very near our house, which was very nice. Bird was very tame and allowed me to take some photos with my mobile phone through my binoculars. Here is the results..
Before today I have been most of my time at work without any interesting sightings, so I was full of energy when I got change to use my mothers car. 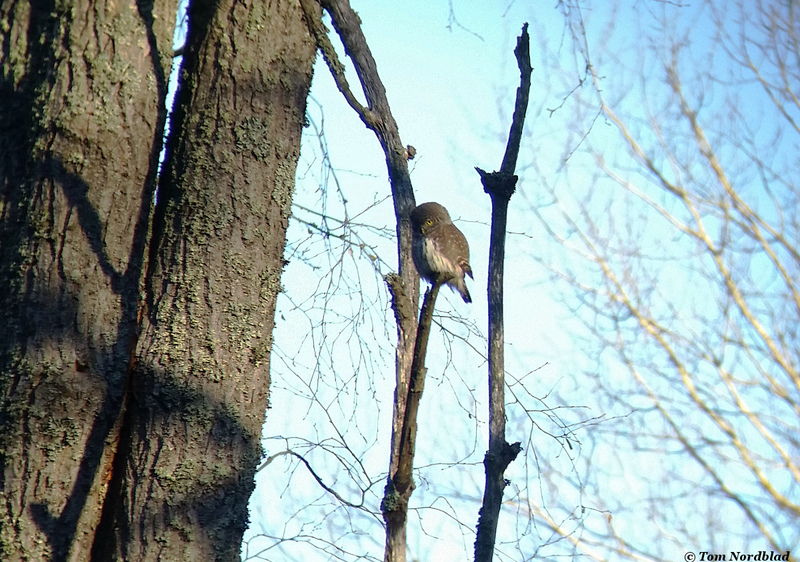 I knew that Hoopoe was found in Kirkkonummi, quite near Helsinki about week earlier. I was little late and when I was driving towards the place, I got info that bird flew away. I arrived to Kirkkonummi at 10.35 and only 10 minutes earlier the bird was seen by many birders. After all, I spend there about two hours and finally we found the bird from different place. What a relief! Bird was hard to see first when it walked in vegetation. Only my second Hoopoe ever in Finland and first after 2008. Obviously I have seen lots of these in Israel and other southern countries, but here in Finland it is very good bird. Great way to start weekend. Also it was very nice to see my old friend Petteri Hytönen after long time. Hopefully more rare and interesting birds will show up later this year.